Over 10 billion land-based animals are killed for food each year in the U.S. However, there is significant and growing public awareness and support for improved farmed animal welfare conditions. 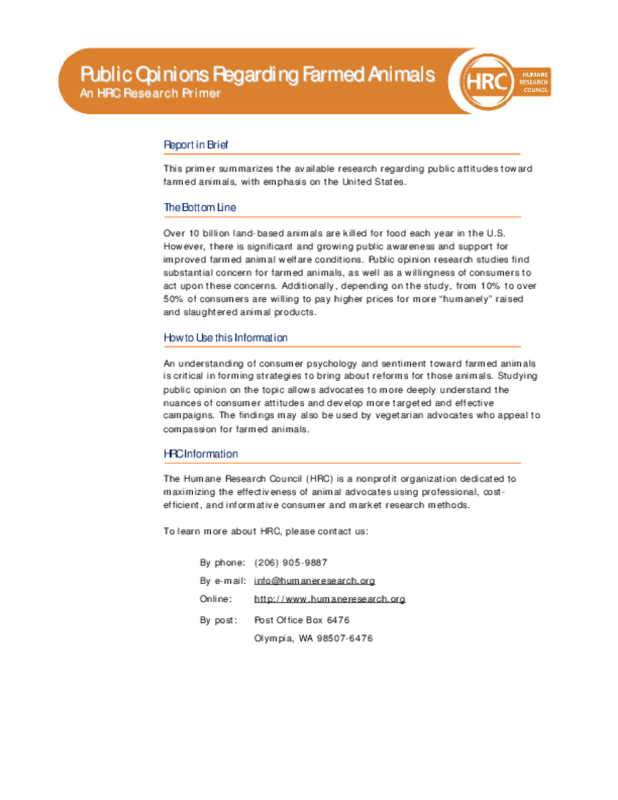 Public opinion research studies find substantial concern for farmed animals, as well as a willingness of consumers to act upon these concerns. Additionally, depending on the study, from 10% to over 50% of consumers are willing to pay higher prices for more "humanely" raised and slaughtered animal products.